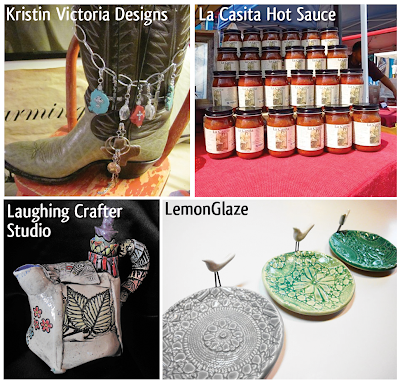 I hope you have been enjoying the previews of all the wonderful artisans who will be selling at the Funky Finds Holiday Shopping Experience! If you are able to attend the event, this is a great opportunity to get an idea of the items you may want to purchase or take a closer look at when browsing at the event. If you are unable to attend, most of the participants sell online, so you can still find some terrific funky finds!!! 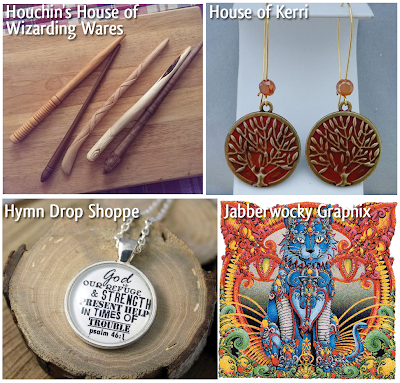 Houchin's House of Wizarding Wares - Husband and wife team Erin and Keri Houchin who work together to create products that bring imagination to life and inspire. 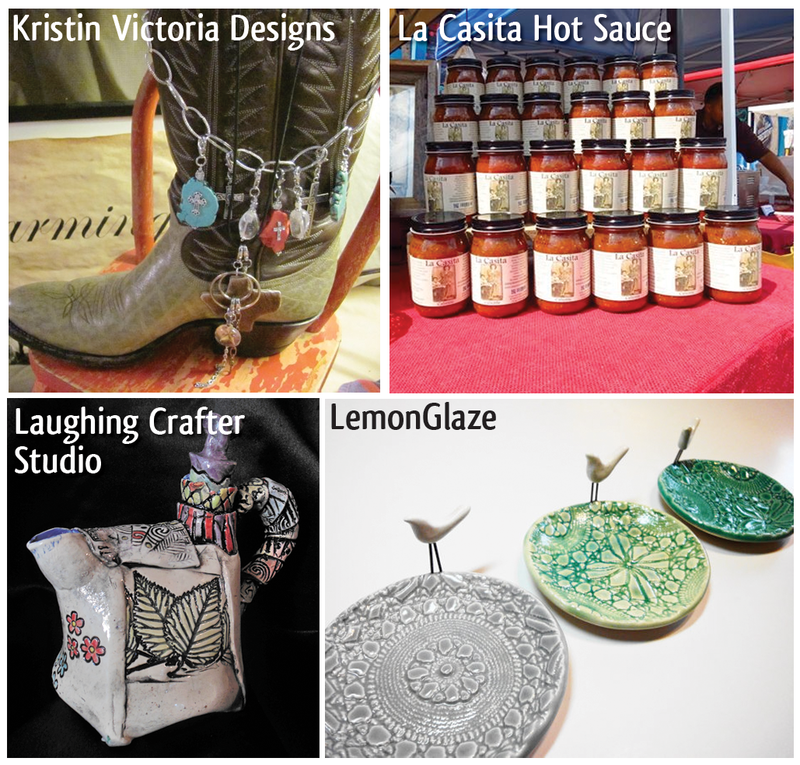 House of Kerri - Kerri Lavery Sterin has found purpose and a new beginning through creating. She uses patina, dye-oxide, and gilders paste to create pieces that are full of color, depth, and texture. Hymn Drop Shoppe - Brooke Wright is a singer/songwriter who works hard to create designs that are hopefully used as conversation pieces for others to share their faith & their favorite verses or hymns. Jabberwocky Graphix - Brad Foster is an artist who uses pen and ink to create unique & interesting pieces. JaHanna Martinez - JaHanna started her headband line six years ago because she was unable to find comfortable & fashionable headbands that actually stayed in place. 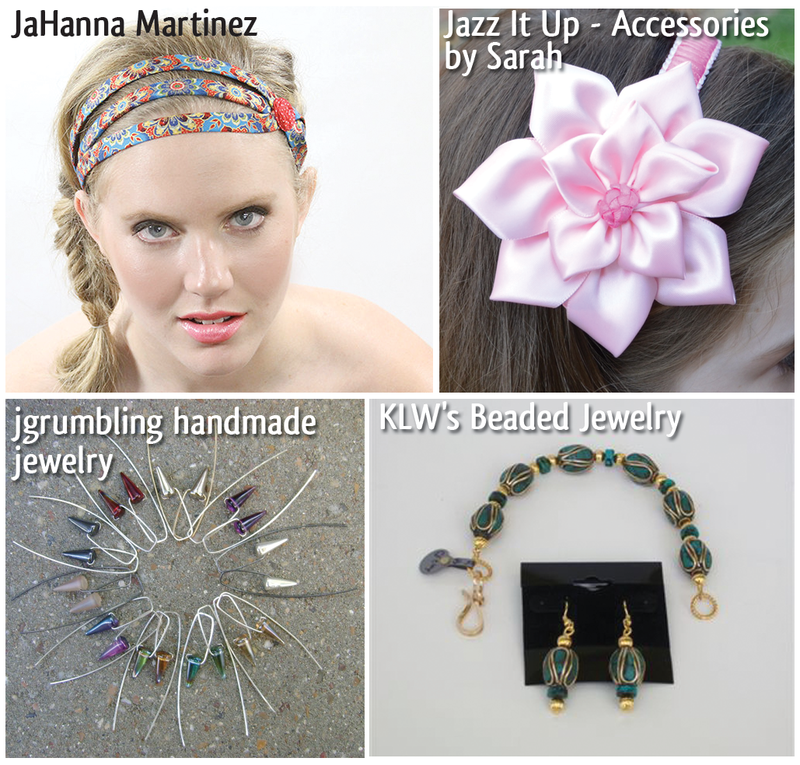 Jazz It Up - Accessories by Sarah - Handcrafted accessories by Monica Spychalski. jgrumbling handmade jewelry - Although Janet came late to jewelry-making, opening her business in April 2009, she has a background in crafting and creative endeavors, including a Bachelor of Fine Arts degree earned at the University of Texas at Arlington and time spent as an advertising layout artist. KLW's Beaded Jewelry - Kathie Ward is a 72 year old self-taught beader who creates beautiful accessories. Kristin Victoria Designs - Kim Shorman is not your typical teenager! As a 2011 Texas Youth Entrepreneur finalist, she enjoys being fun and creative, but when it comes to business she gets serious. Currently a Texas A&M junior Economics major, Kim stays busy making and selling unique jewelry and gifts, studying, and working as a medic on campus which help pay for her schooling. La Casita Hot Sauce - Based upon a family recipe, Veronica Westlake uses fresh produce & traditional spices to create an authentic Tex-Mex hot sauce that will please the entire family. Laughing Crafter Studio - Buffy Hall creates beauty out of mud and broken glass, with muddy fingers and a grateful heart. LemonGlaze - Carmen Aberasturi enrolled in a ceramic class at a local college and has since been unable to stop creating pieces with clay. Little Bunny SueSue - Carol Camp was inspired by the birth of her granddaughter who gave her a reason to pull out the sewing machine and start creating again. 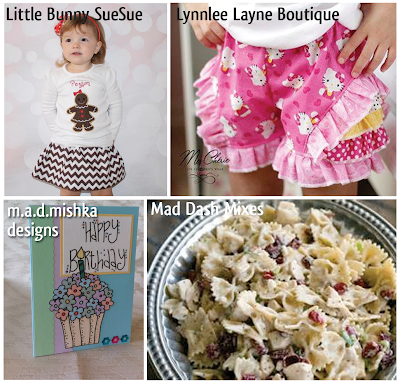 Lynnlee Layne Boutique - Natalie Wyatt has been sewing for over 30 years & specializes in quality handmade children's and ladies clothes and accessories. 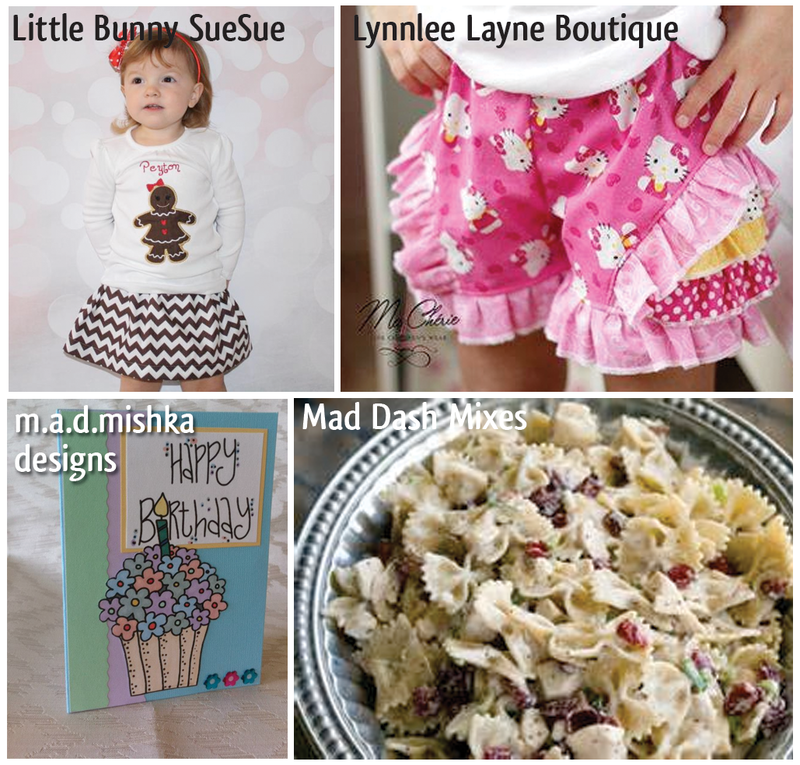 m.a.d.mishka designs - Michele Dietrich is a zookeeper by day...artist by night who loves paper crafting and sharing her creations with others. Mad Dash Mixes - Sherri Leal manufactures and sells declicious mixes of dried dip, soup, dessert and pasta salads. 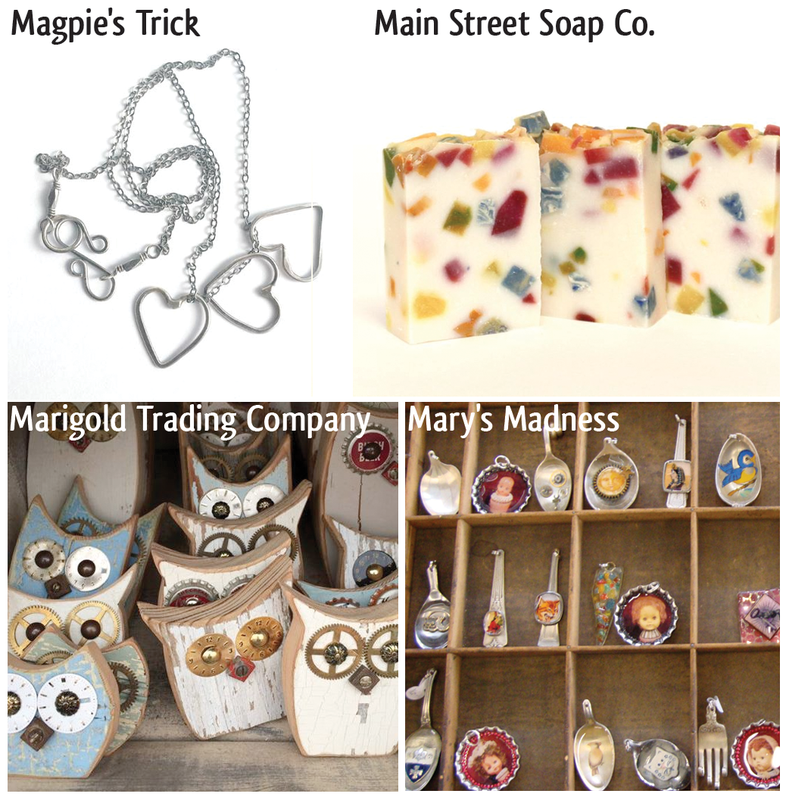 Magpie's Trick - A husband & wife collaboration of jewelers, dreamers, and gypsies. Using traditional methods, the duo creates wearable art from sterling silver, silk, and natural gemstones. Main Street Soap Co. - What began as a hobby has evolved into a successful family business featuring hand-crafted soap for the past three years. 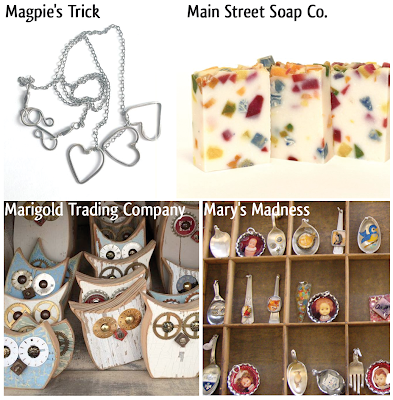 Marigold Trading Company - What started out as a way to earn a little extra Christmas money has come a long way. The Southall family cuts and paints all of their products that are truly lovingly homemade. 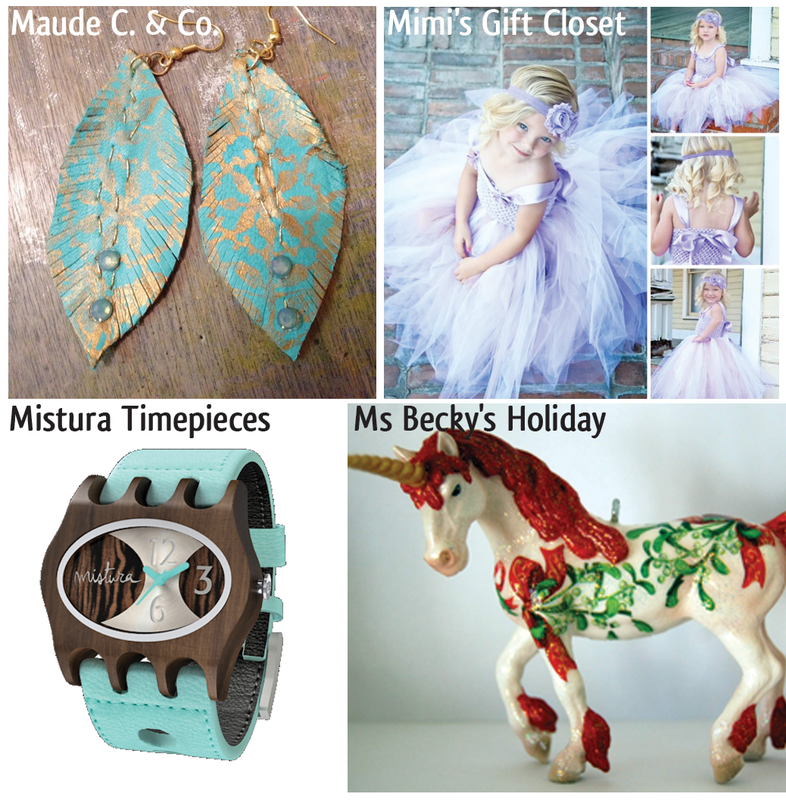 Mary's Madness - Mary Davenport recycles & up-cycles found items creating one-of-a-kind accessories. She also provides a wonderful selection of antique & vintage supplies for crafters! Maude C.& Co - Lauryn Bray is a Designer, Blogger & Wardrobe Stylist who established Maude C. & Co. in 2007. Mimi's Gift Closet - Julene & Donna have been seamstresses, pattern engineers, designers & more for many years. As the love of their grandchildren started filling their hearts, they felt the need to fill up the gift closet. Mistura Timepieces - Mistura specializes in natural watches, handcrafted with South American sustainable wood and 100% genuine leather. Ms Becky's Holiday - Rebecca Conklin started her own holiday ornament business after being downsized at work. Her personal goal is to create a holiday memory for her customers that is unique and unusual. 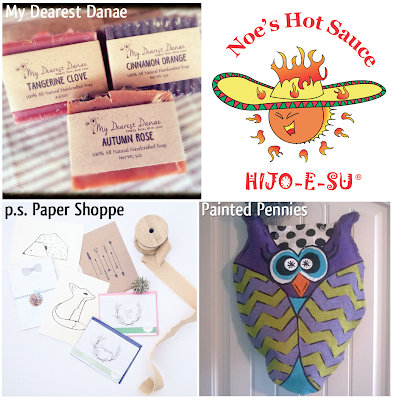 My Dearest Danae - In an effort to shy away from a Christmas focused on material items, Katie Ellis & her husband took on a major challenge to go back to a simpler, purer time and hand-make all of the gifts for their friends and family. Their soap-making adventure has evolved into a wonderful business! 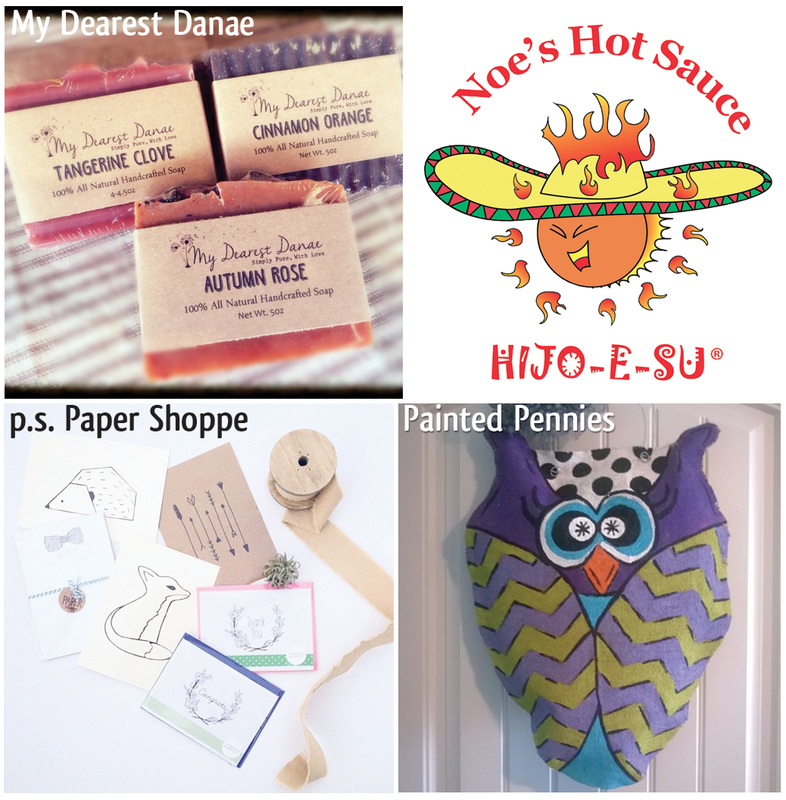 Noe's Hot Sauce LLC - A Hot Sauce like no other featuring a 25 year old home recipe. This hot sauce has NO onions, NO cilantro, NO bell peppers and NO whole tomatoes. p.s. Paper Shoppe - Pei Sim focuses on simple, charming designs that are sprinkled with a little bit of whimsy. All products are made with integrity, quality and fun! Painted Pennies - Having taught art within the Keller ISD for ten years, Penny Tandy is currently a stay at home mom who enjoys painting and crafting.